It's important to do your bicep curls right. Here are a few do's and don'ts to help your perfect the bicep curl and build the best biceps ever. Ask anyone to flex, and odds are they’ll roll up their sleeves and show off the biceps. All sorts of exercises have been developed to help grow biceps, and one of the most common ones is the bicep curl. However, as with every exercise, form is essential to make sure you’re getting the most out of your movements. 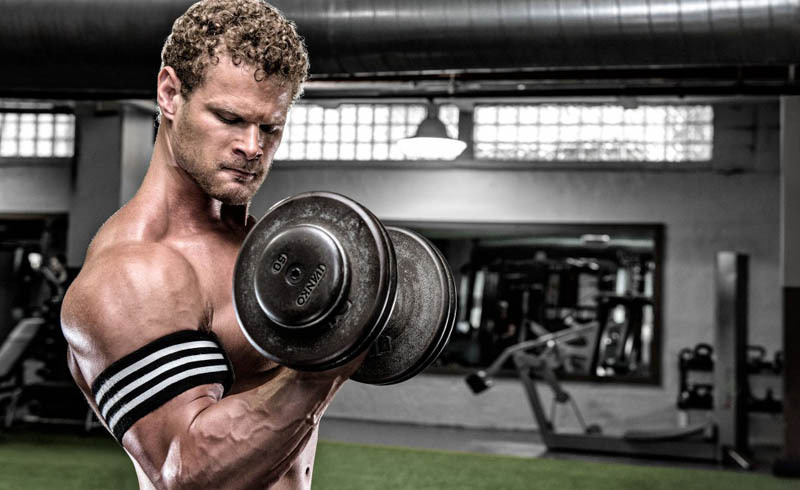 Here are a few dos and don’ts to help build the best biceps ever. At the start of each curl, when both hands are down at the starting position holding the barbell or dumbbells, be sure your palms are facing away from the body. At the top of the curl, your closed palms should face you. Ensuring your palms and forearms are aligned this way will reduce the possibility of forearm pain. Many people forget this essential step, but if you really want to work your arms, squeeze and hold the muscle tension at the top of each barbell or dumbbell curl for two or three seconds. Engage the brachialis muscle — the upper arm muscle that flexes the elbow joint — because it gives the bicep muscle a boost, and makes it more prominent. A great way of building both the biceps and brachialis muscle is to do hammer curls. This may go against conventional fitness wisdom, but bear with us. Cheat reps aren’t necessarily a bad thing when working out your biceps because, depending on the load you’re carrying, you shouldn’t be able to do more than 10 reps anyway. By the end of the second set and rest period, doing 10 reps gets harder and your form will naturally suffers. Your very last rep or two should inevitably involve a little cheating, as it should be nearly impossible to finish. If it’s not extremely hard to do, you’re not doing it right. A caveat: Cheating a bit at the end of your set is OK, but cheating too early can be a huge detriment towards getting the results you want. It’s best to leave cheating until it’s absolutely necessary, and the biceps are worked until exhaustion. Do not let your form suffer (and only very slightly), until the last or second last rep. Dropped sets are when you use a decreasing order of weights while doing a continuous number of reps without a period of rest or recovery in between sets. For example, you can try 10 reps with 100-pound barbell weights, and after 10 reps, switch to 80-pound barbell weights for another six reps. Lower the weight load to 60 pounds and do another four reps until failure. Because big, beautiful biceps are in such high demand, it’s common to over-train them in an effort to get them huge as quickly as possible. If you’re doing as many bicep training sessions as you are working the rest of your body, this will only lead to negative results. Overtraining your biceps while neglecting your essential back muscles, for example, can lead to imbalance and poor posture. 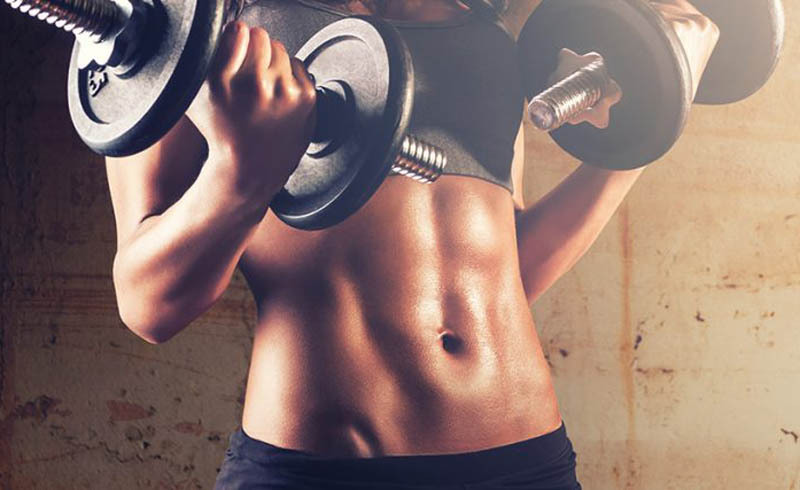 Ensure that your workout program targets your whole body, and not just your bulging biceps. A mistake many people make with bicep curls is thinking that repeating the same curl over and over again is the only way to build muscle. Not true. Even with smaller muscles like the biceps, the law of constant change applies. Don’t just do standing bicep curls continuously. Change it up and do seated dumbbell curls, try an EZ bar curl, do hammer curls. Switch it up as much as possible, since variety shocks the muscles and makes growth happen.